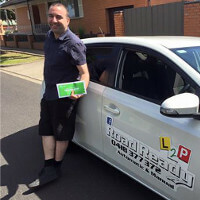 Are you looking for driving lessons in the Footscray area? Learning to drive in the busy western suburbs of Footscray, Yarraville & Maribyrnong can be challenging. But don't worry because L2P Road Ready has experienced driving instructors with years of experience driving in the western suburbs. We all started off as beginners just like you and know all the emotions new drivers are going through. Whether its your first lesson or preparing for a driving test you want the comfort of knowing that your driving goals are in safe hands. From your very first call we make a point of understanding what prior experience (if any) that you have and what your goals are so we can structure your training sessions for fast results. Passing your driving test the 1st time isn't just about practicing testing routes. It's about developing defensive driving skills that allow you to make confident decisions in all traffic situations. No matter how much experience you have, even if its nothing, we want you to feel relaxed and develop confidence so you can drive safely and independantly. Rhett from Footscray came to us as a mature aged person who had never driven before. Within a short amount of time his driving lessons went from learning the basic car control skills to getting his licence on his first attempt. Imagine the freedom and opportunities that become available to you when you're no longer limited to using public transport. Michael is a fantastic instructor! I went from being a 37 year old who had never sat behind the wheel in November to getting my Ps on the first try today. Every lesson a joy and filled with useful instruction. He didn't just teach me to drive, he taught me to drive well. Highly recommended to anyone wanting to learn how to drive properly, and with confidence. Thanks again Michael. Contact L2P Road Ready today and turn your dreams of a better life into a reality.